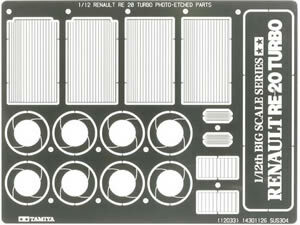 << Back TAMIYA "Renault RE-20 Turbo w/Photo-Etched Parts"
TAMIYA "Renault RE-20 Turbo w/Photo-Etched Parts"
Winner of the Brazilian, South African, and Austrian F1 Grand Prix in 1980, the Renault RE-20 Turbo proved the power and potential of Renault's turbo engine beyond a shadow of a doubt. 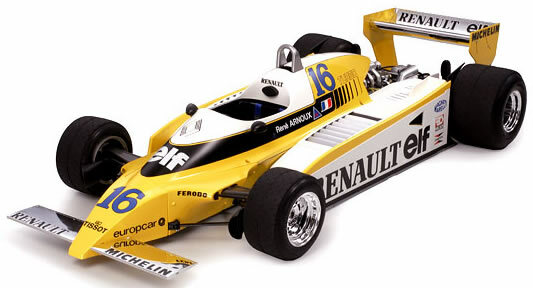 Renault's first turbo-engined F1 racer was the RE-01, which debuted in 1977. 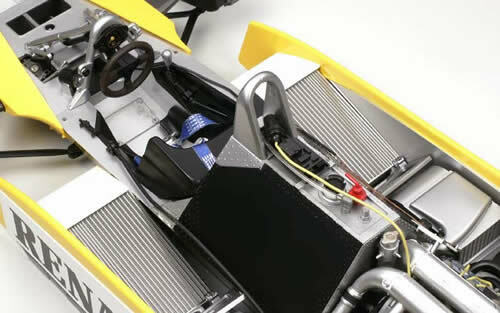 Following that was th RS-10 in 1979, which scored the first F1 victory by a turbo-engined car at the French Grand Prix. A series of improvements culminated in the RE-20, which was nearly 30kg lighter than its predecessor and featured a 1.5 liter, twin-turbo V6 pumping out over 500 horsepower. The car also featured ground effects aerodynamics, with inverted airfoil rear wing and side skirts. 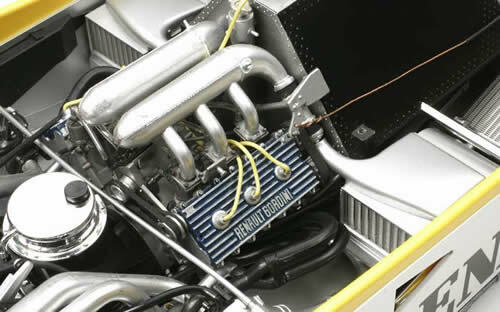 The success of the RE-20 led to more turbo-engine development and a new technological era in F1 racing. 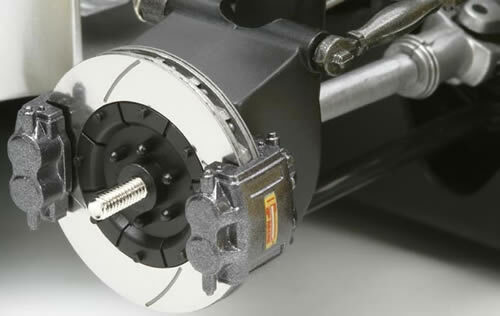 *Fully-movable front and rear suspension features metal coil springs. *The complete drivetrain including exquisite twin turbo V6 engine, intercooler, and transmission is authentically reproduced. *Body cowling and nose cowling can both be removed even after assembly to showcase internal details such as the cooling system in the side pontoons. *Moving the steering wheel actually turns the front wheels. *Side skirts are completely movable. *Racing slick tires made from synthetic rubber for enhanced realism.